Dunedin is location on the St. Joseph Sound just off the Gulf Of Mexico and has a rich history in sailing and offers breathtaking sunsets. The Toronto Blue Jays practice here during spring training and offer world class games at the Florida Auto Exchange Stadium. The Dunedin Blue Jays Play here year round. Dunedin Boasts many parks and attractions for familes to enjoy their visit. Bike on the Pinellas Trail, walk trails in Hammock Park or wach a sunset from Edgewater park on the water front. Voted #1 BEACH IN AMERICA. Pristine white sand beaches and natural unspoiled old Florida charm. Available only by boat. Daily ferry trips available. Dunedin is home to many street fairs, open green markets and large events such as Mardi Gras and Wines the Blues. Dunedin's Beach and Florda's state park offers a perfect way to spend the day on the island. Dunedin is considered to be one of the best walking towns for both our four legged friends and us too. Dog friendly parks, murals, outdoor doggy dining are just a few examples of our "Dogedin"
The Marina allows boaters to come in for the day, week or even the month. We are designated a Green marina. Dunedin is rich in Celtic history and events. We are home to the Celtic Festival, an award winning pipe band, and New world Celts. Come and relax on our white sand beaches. Gourmet gift store specializing in Olive Oils, Balsamic Vinegar's, Sea Salts and everything gourmet. "Gourmet Made Easy"
Ave. rating: 5 from 1 votes. Gifts, jewelery, apparel, Highland wear, tartans & food from the Celtic Nations of Scotland, Ireland, Wales & Cornwall. 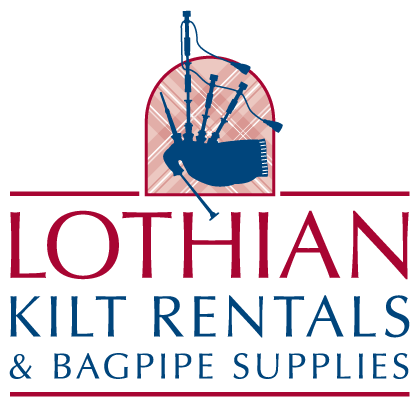 Kilt Sales and Rentals,Bagpipes and Supplies,British Food and Groceries,Celtic Jewellery,Highland Wear,Guinness Merchandise and Gifts. Open air fresh market. Featuring produce, plants and handcraft items. Provides automobile service and repair, as well as body and paint work. We carry a wide range of metaphysical supplies including Organic herbs, Essential Oils, crystals, candles, unique gifts. We have carefully selected therapies that we know will be complimentary; providing you with a powerful, positive, wellness experience. Stained glass studio and gift gallery. Classic Boutique and Gallery offers the finest in gifts and fashion. Gifts, wine, and all sorts of fancies. A family owned business offering a Worldwide Delivery service through FTD and Teleflora. Free advice from travelers for a great Dunedin vacation.